Apple on Tuesday revealed some of the more than 70 new emoji that will be available in iOS 12.1 and software updates for the Mac and Apple Watch. 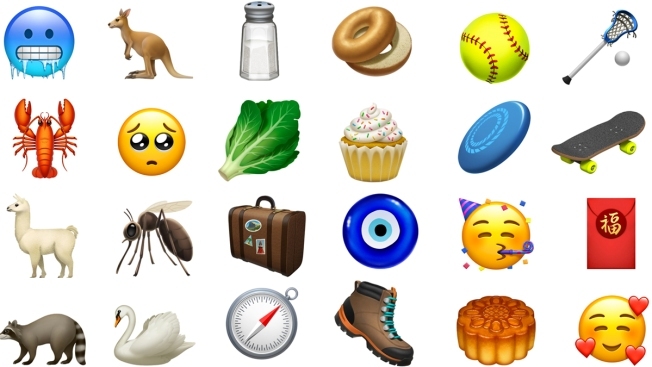 New Emoji included in the update include lots of animals like a kangaroo, a lobster, a raccoon, a swan and a llama. There are also new sports emoji, including a new skateboard, a softball, a lacrosse ball and stick and a Frisbee. Others include new hairstyles -- bald, red hair, gray hair and curly hair -- as well as a hiking boot, a travel suitcase, a compass, a bagel and a cupcake. The new Emoji in the iOS 12.1 developer beta, which launched today. Apple didn't say when iOS 12.1 will be available for all iPhones and iPads.